Mid-Evil Industries is committed to providing all gun enthusiasts with precision engineered, high quality, weapon accessories. 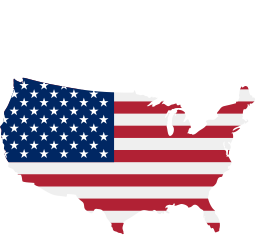 All products are designed, developed and manufactured in the USA with first-rate materials for strength and endurance. Breaking down your weapon has never been this easy to do. Unrivaled full range of motion delivers comfort & flexibility. No AR-15 build is complete without Mid-Evil Industries! Gun enthusiasts, sport shooters and members of the military have come to expect the best from Mid-Evil Industries. The original innovators behind Mag Magnet, California’s essential AR-15 bullet button tool, also manufacture the 360° VFG adjustable fore grip, the most flexible, comfortable grip you will ever own, and the TX3 Tactical Takedown Tool. 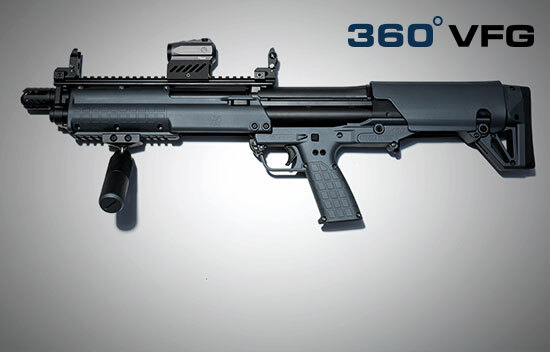 360° VFG Vertical Fore Grip - The 360° VFG’s adjustability allows you to swivel and lock the rotating fore grip into your ideal physical position for comfort and tactical accuracy. The 360° VFG fits all mounts and is the essential grip for all rifles and shot guns. 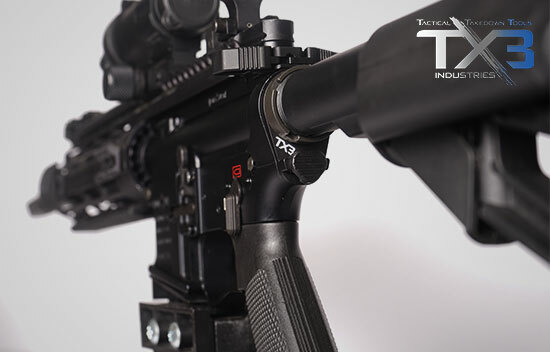 TX3 Tactical Takedown Tool - The TX3 Tactical Takedown Tool is the ideal solution for removing the takedown pin. Easily stored on our endplate, no AR is complete without it! Our unique and innovative professional gun accessories will help you build the ultimate long gun! To view other review videos, read write-ups from gun experts, and see what our customers have to say, visit our Reviews, Testimonials and social mention page. We think you'll see that Mid-Evil Industries continues to innovate and provide the best AR-15 accessories in the market!